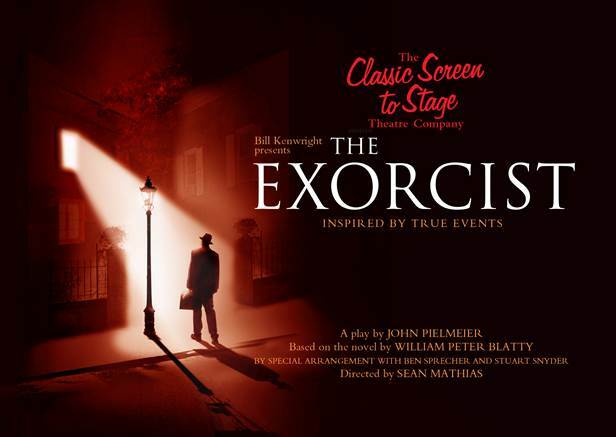 Bill Kenwright presents the spine-tingling live production of The Exorcist at Theatre Royal, Glasgow this autumn. Based on the best-selling novel by William Peter Blatty and inspired by true events the production will open on Tuesday 17 September and run until Saturday 21 September. This devilishly thrilling tale has been adapted for stage by John Pielmeier and directed by Sean Mathias (Waiting for Godot, No Man’s Land) and will feature the voice of Ian McKellen as the Demon. William Friedkin’s 1973 Academy Award-winning film adaption of The Exorcist, thrilled audiences across the globe and gained a huge cult following. Now, 45 years after its release, movie and theatre fans alike can experience a visually astounding, intelligent and haunting theatrical experience. Star casting to be announced soon.